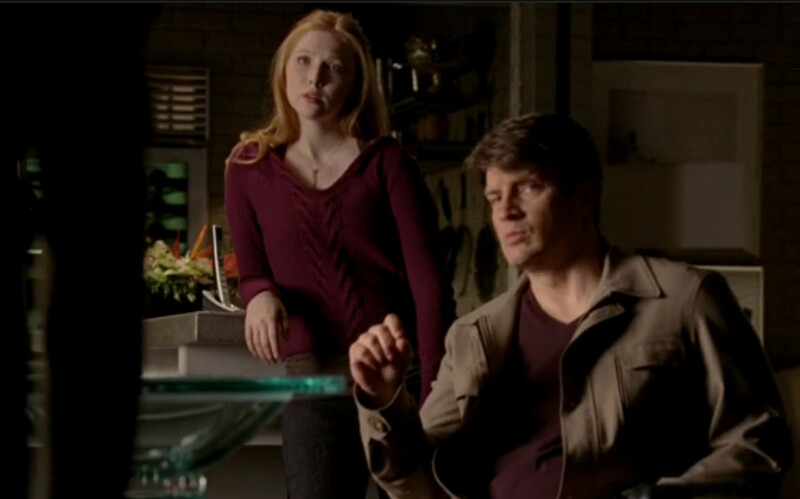 This entry was posted in Inspiration and tagged cables, Castle, pullover, TV on April 20, 2013 by onemilljellybeans. 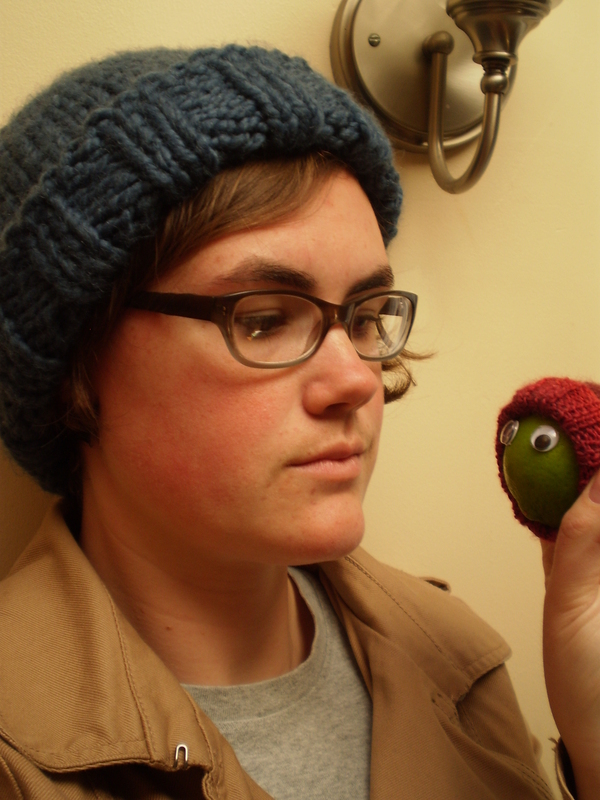 So, now you know about the Toy Society, eyeballs and I-cord. What to do with your new knowledge? 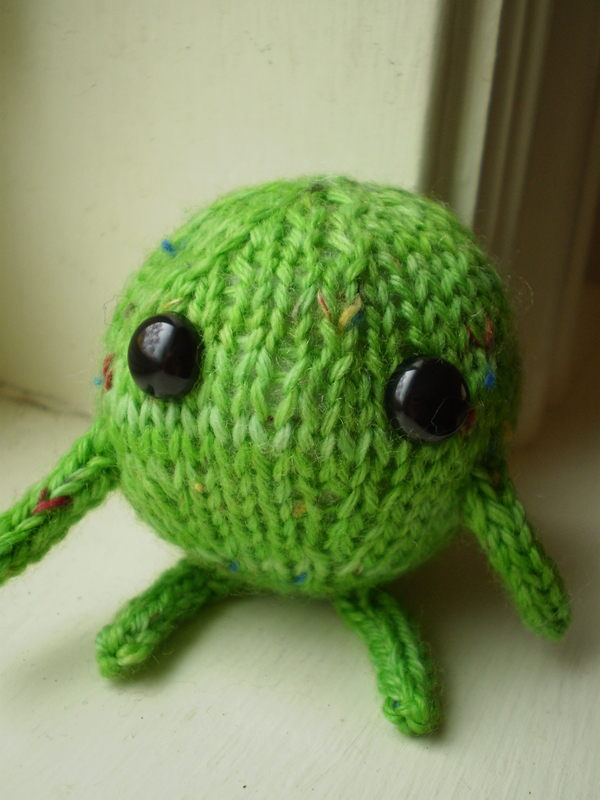 How about making a cute, round(ish) little creature to brighten someone’s day? 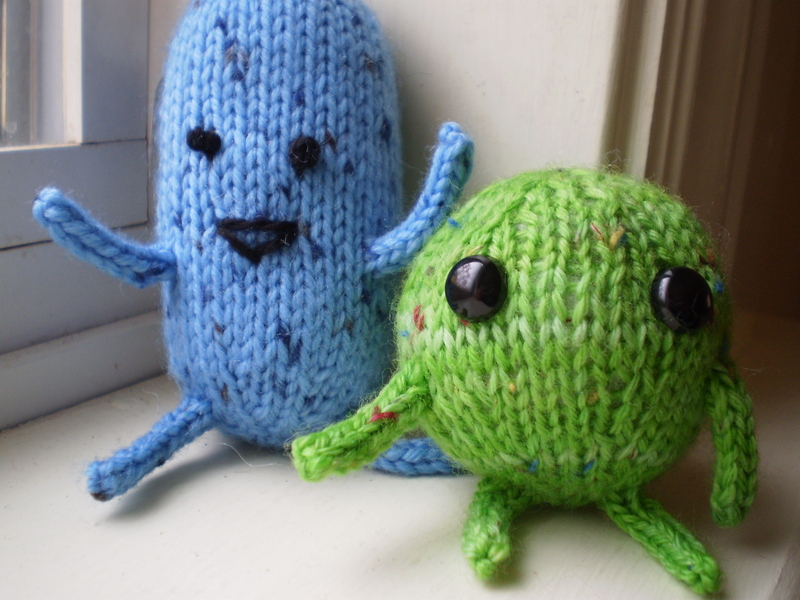 I like making these little guys with sock yarn on tiny little needles. 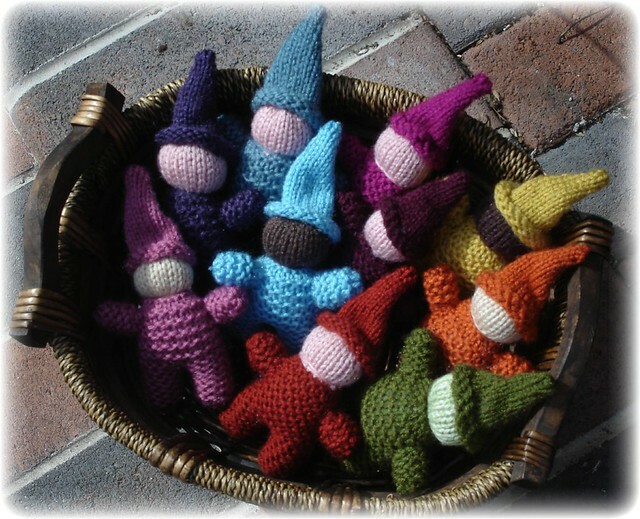 That way they can ride around in a pocket or purse. 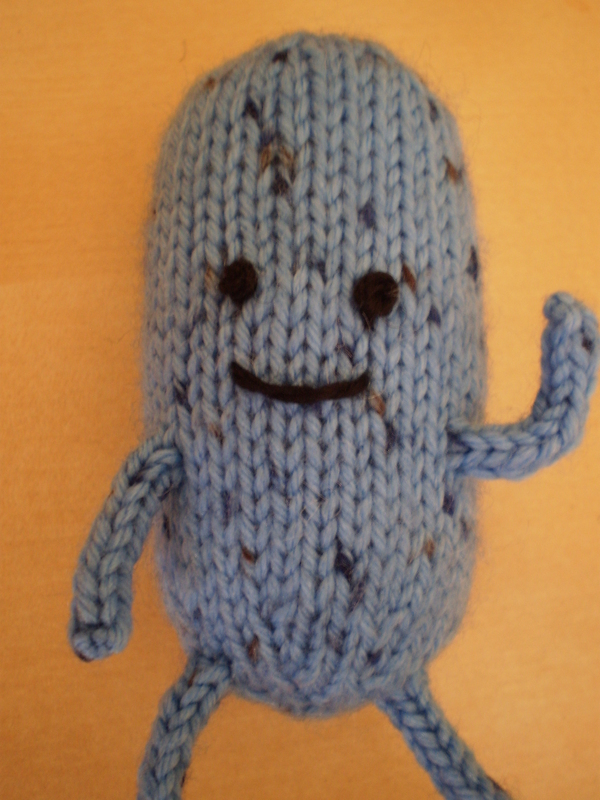 But, using bulky yarn and larger needles, you’ll end up with a bigger, more huggable critter. Feel free to play around with the shape of your Spheroid, too. 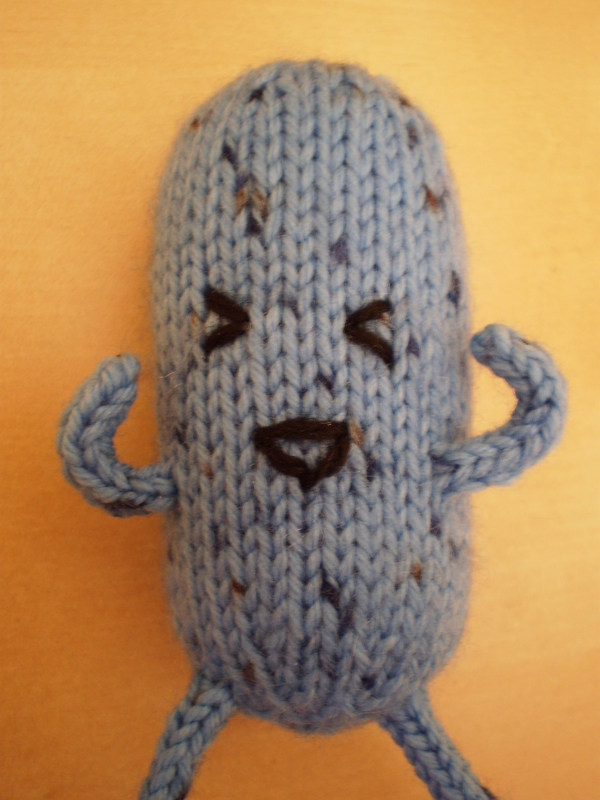 Adding more even knit rows between the increase and decrease rows will make your guy more oblong. 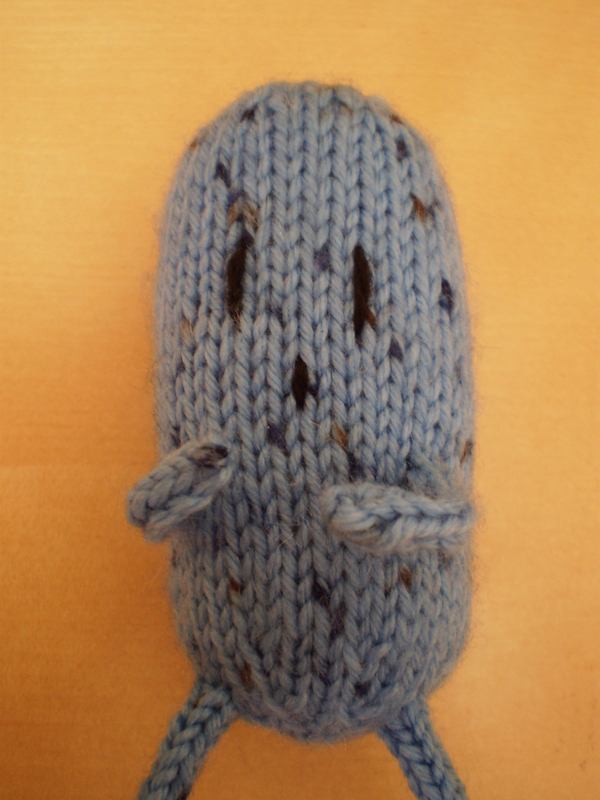 Removing the knit rows will make him more UFO-shaped. 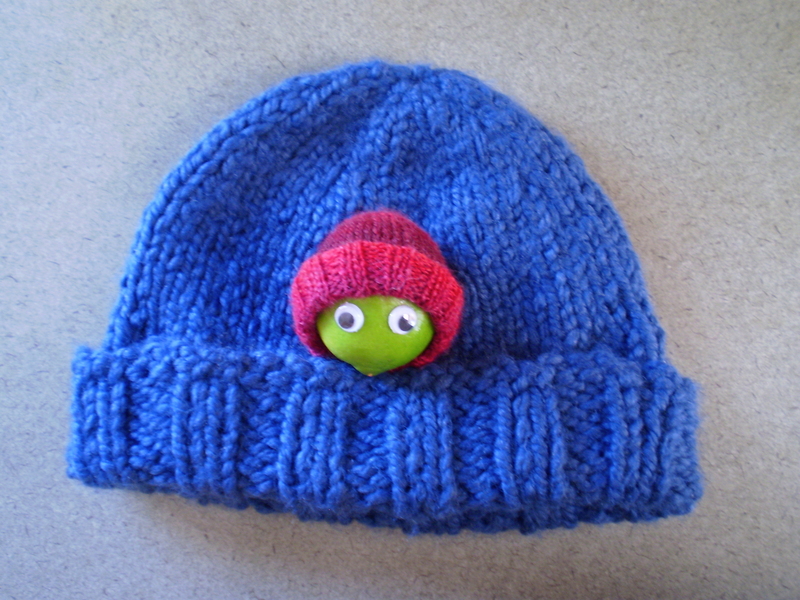 Remember, if you’re making this little guy for a kid under the age of 3 (or anyone who is dumb enough to eat buttons) forgo button or beaded eyes. Safety eyes, while they’re safer than buttons, are still not 100% for little kids. A few yards of scrap sock yarn. A ball about the size of a Ping-Pong ball should be plenty. Cut a 1 foot long tail. 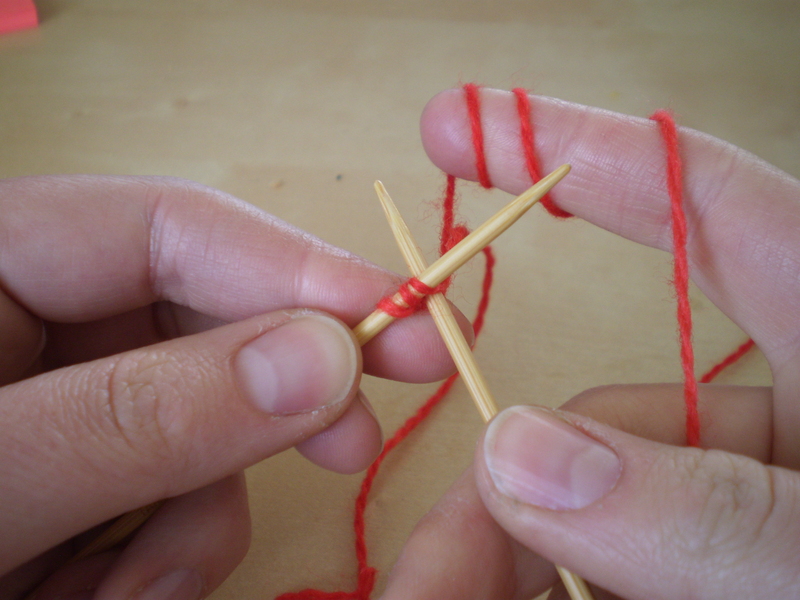 Using the tapestry needle, pull the tail through the loops. If you’re using safety eyes, add them now. Stuff the body, and close up the top. Complete rows 1-7 of Spheroid. Complete rows 20-25 of Spheroid. 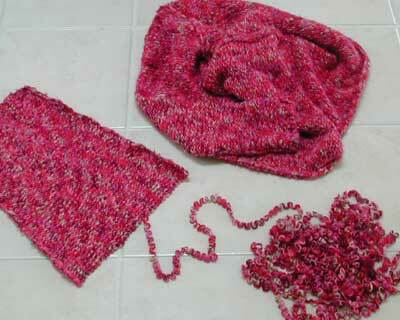 Using double-pointed needles, cast on 3 stitches, leaving a 1-foot tail. Work as an I-cord for 8 rows. Cut a 1 foot tail, and use your tapestry needle to pull the tail through the loops, and tie a knot so the leg doesn’t unravel. Hide the end of the tail in the middle of the limb and trim. 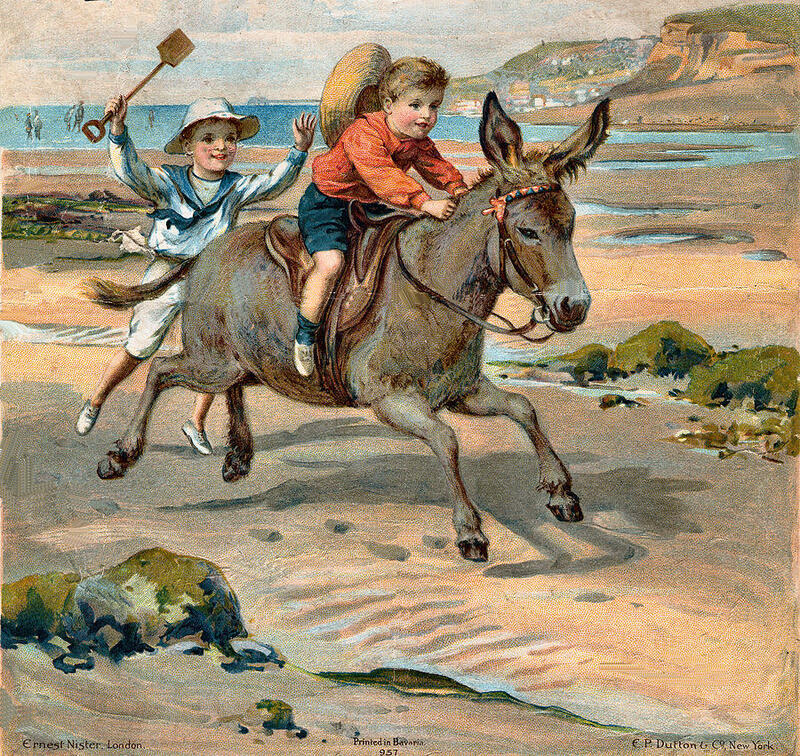 Leave the cast-on tail to use to sew the limb to the body. When you have enough limbs, carefully sew them onto the body, using the remaining cast-on tails. Weave in the ends and trim. Hide the ends in the body of your little guy. If you haven’t already added a face, do so now. 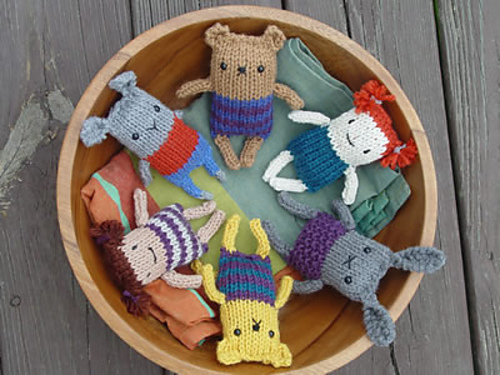 This entry was posted in Patterns and tagged Embroidery, I-cord, safety eyes, stuffed animals, Toy Society, toys on April 17, 2013 by onemilljellybeans. 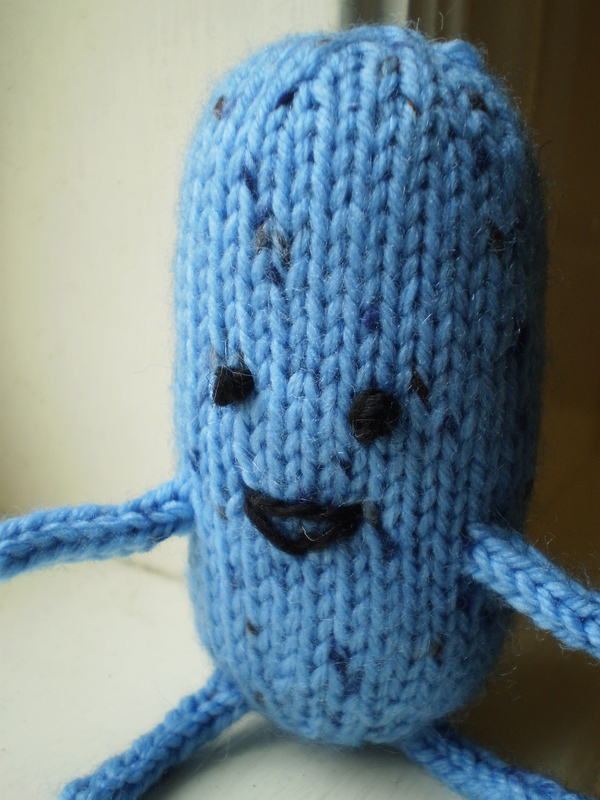 Maybe you’re not too good with a needle and thread… Maybe you prefer your knit toys to have big old buggy eyes… Maybe you just aren’t a fan of how embroidered faces look. No sweat. Try safety eyes! They’re super easy to use, and (in my opinion) the most professional-looking than buttons or beads. Technically they are safe (hence the name) for younger children, but I’d still be careful if you give them to itty bitty kids who like to chew on things. They come in two parts: the eye, and the backing. Slide the backing on to the post, and use your muscles to push it all the way down. They’re sometimes hard to get all the way on, but they’ll go eventually. Be really really sure that you like where your eyes are placed before putting on the backing, because they are almost impossible to remove once they are attached. Safety eyes are carried at most chain craft stores, but you can find a more extensive selection on Etsy and other online retailers. 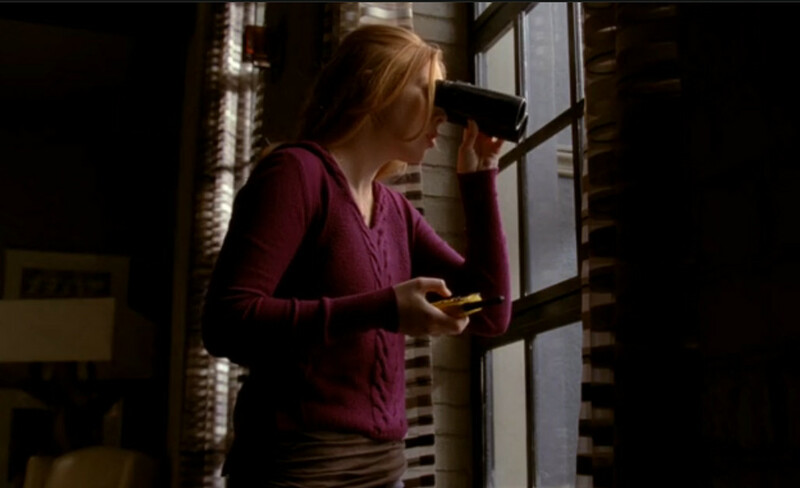 Now, go fourth and give things eyeballs. I don’t know about you, but I feel like I’m being watched or something. Eep! 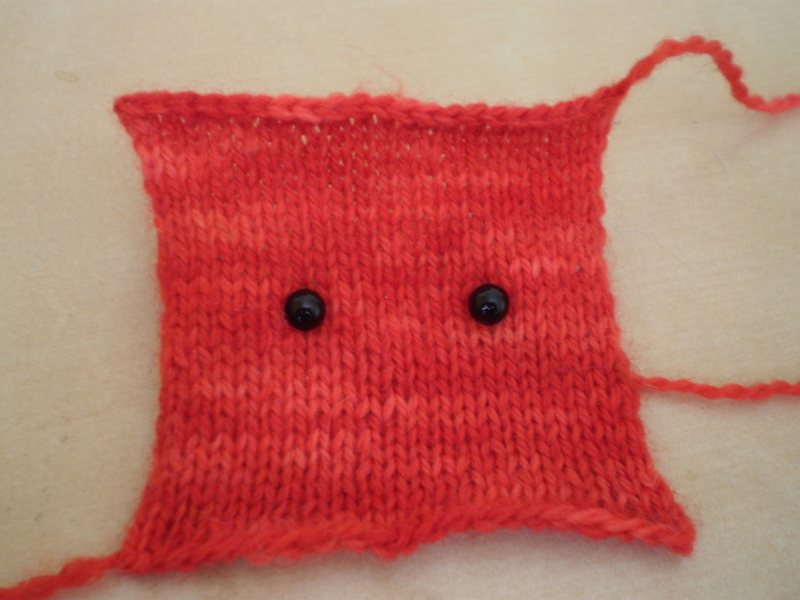 This entry was posted in Techniques and tagged eyes, how-to, safety eyes, stuffed animals, tutorial on April 15, 2013 by onemilljellybeans. 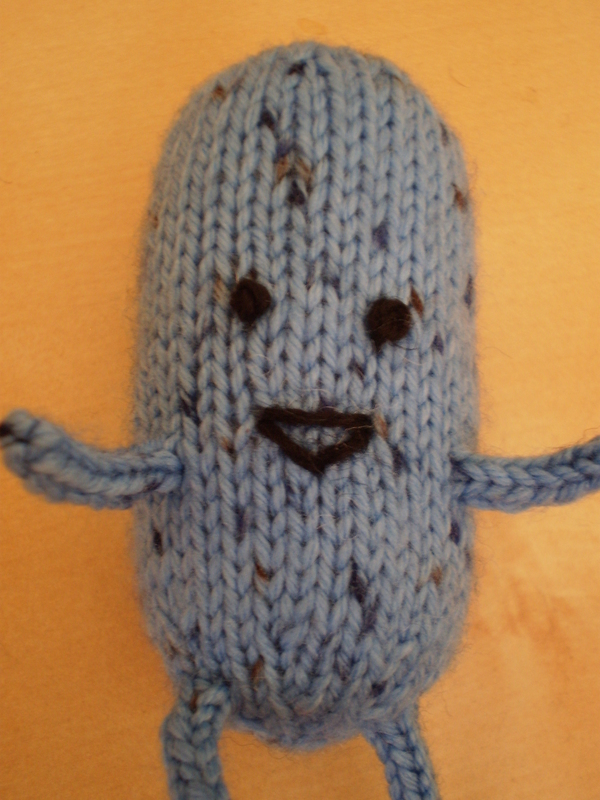 You have spent hours and hours and hours working on a teddy bear, doll or other plushie, and you are just about done, when you realize it doesn’t have a face. 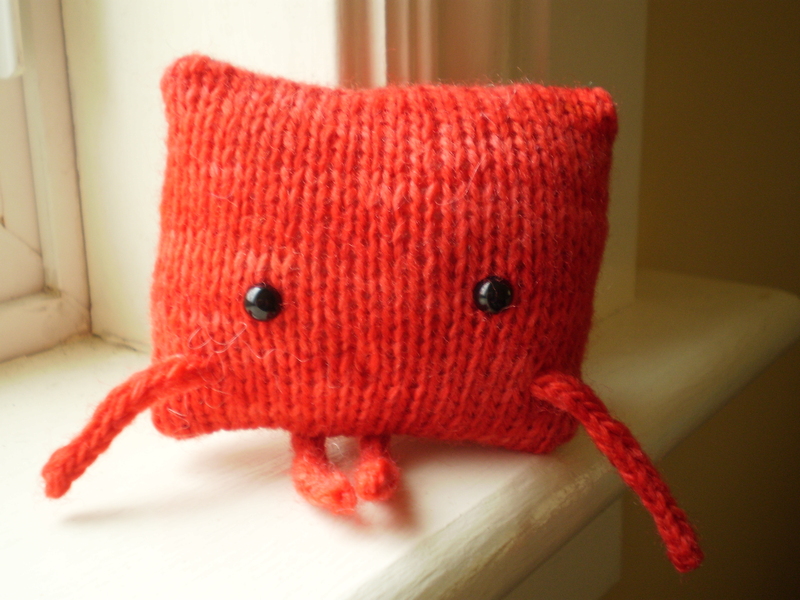 While a faceless doll can be cute on occasion (although they are usually creepy), you probably at least want some eyes. 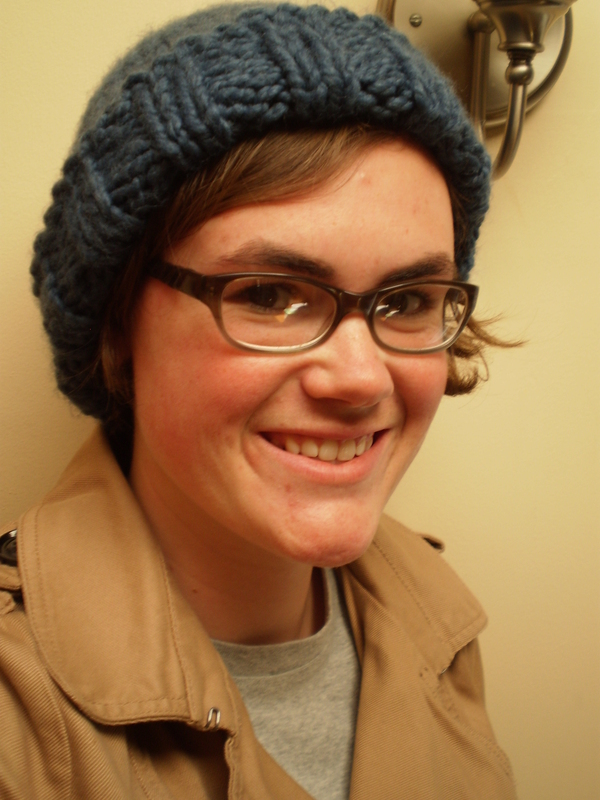 You have a couple options, but the easiest is usually an embroidered face. Now, go fourth and give things faces. I don’t know about you, but I feel like I’m being watched or something. Eep! 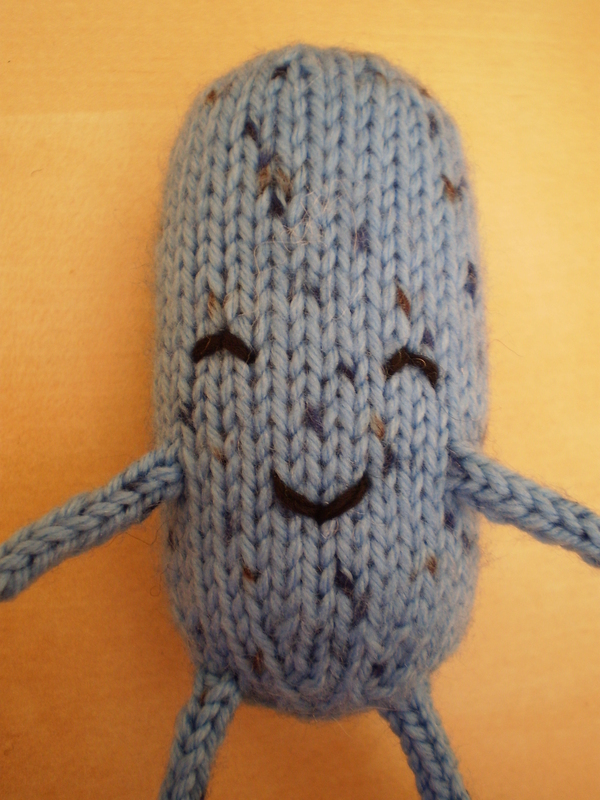 This entry was posted in Techniques and tagged Embroidery, faces, finishing, plushies on April 12, 2013 by onemilljellybeans. 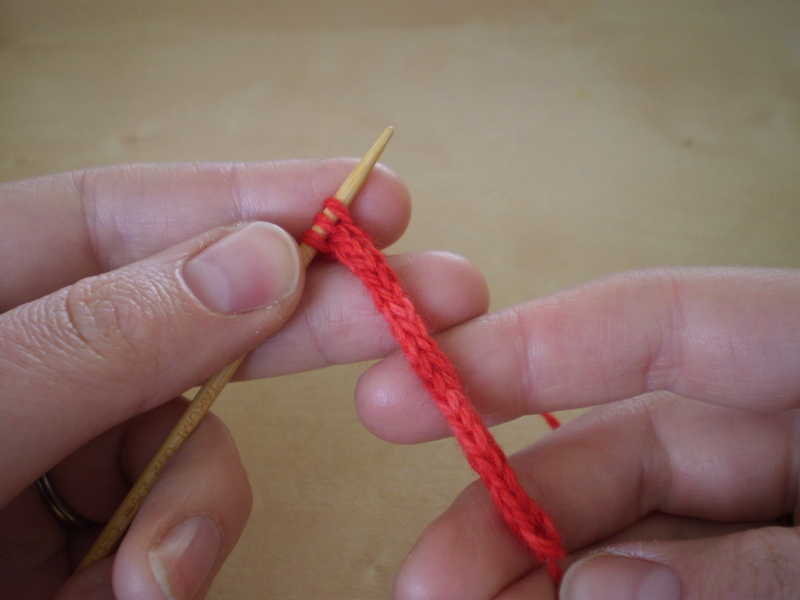 When I first learned about I-cord, I was told that the name was short for “Idiot-Cord.” Supposedly it has this name because the first person who made I-cord did it on accident because she was an “idiot” who forgot to flip her knitting around when she started a new row. I think this is kind of mean. 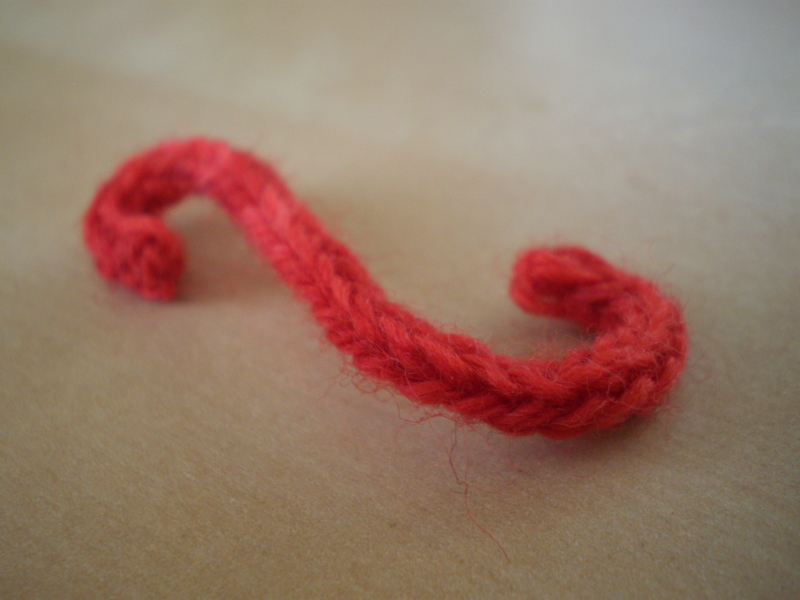 Especially since I-cord is super fun to make, useful, and more than a little ingenious. Maybe we’ll pretend the “I” stands for ingenious. So, what is I-cord? It’s a very thin tube of knitting. It can be used as a tie or drawstring, and back in ‘ye olden times’ was used to make shoelaces before they were commercially available. 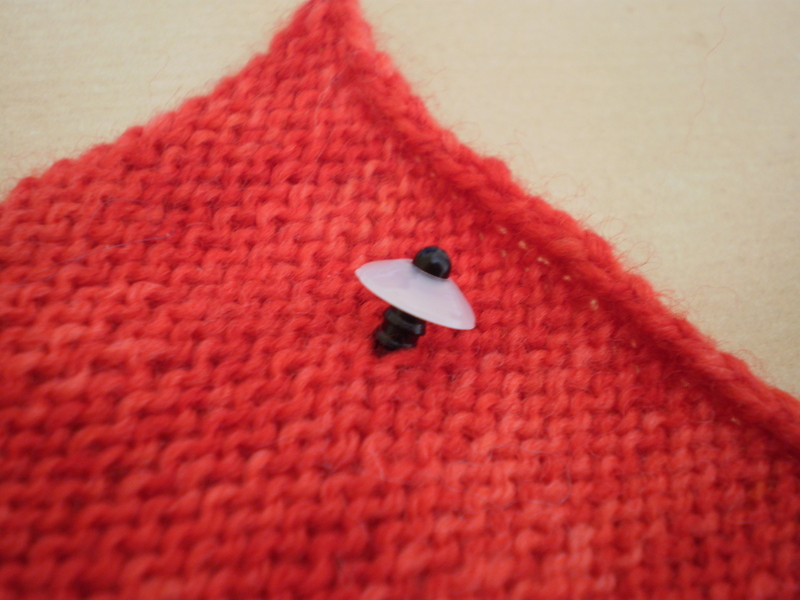 I-cord is knit in the round, but on two needles, which makes it super easy to make. 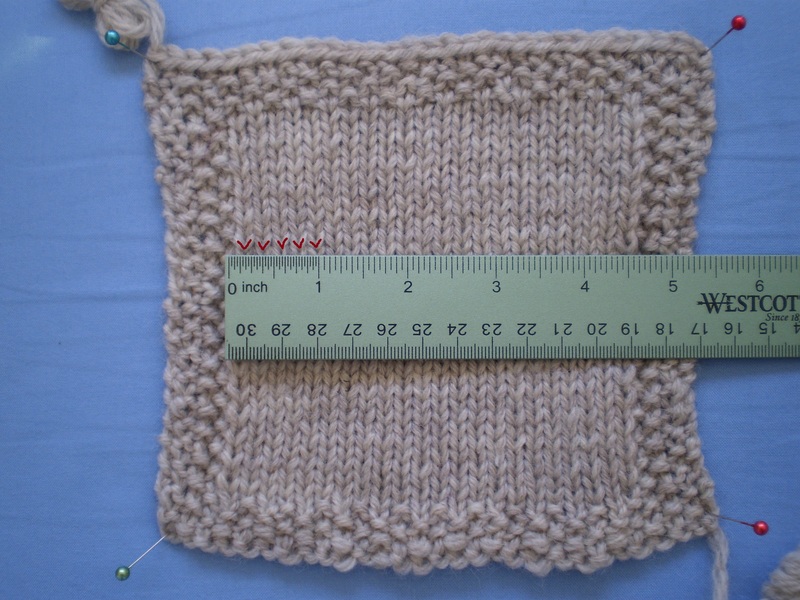 If you can knit a garter stitch swatch, you can make an I-cord. Using double-pointed needles, cast on 3-4 stitches (you could cast on more stitches if you want a thicker cord, but I-cords with more than 4 stitches end up a bit wonky looking). Usually at this point, you’d flip your knitting, so that the working yarn is on the right. But, since we’re making an I-cord, we’ll do something a little different. It’ll feel a little weird at first, but it’ll work, I promise. 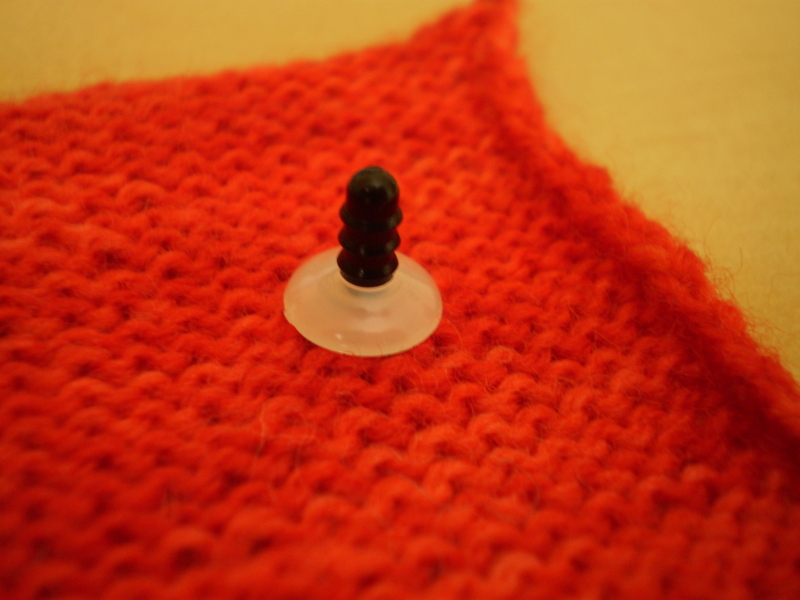 Without flipping your knitting around, slide your stitches to the right hand end of the needle. 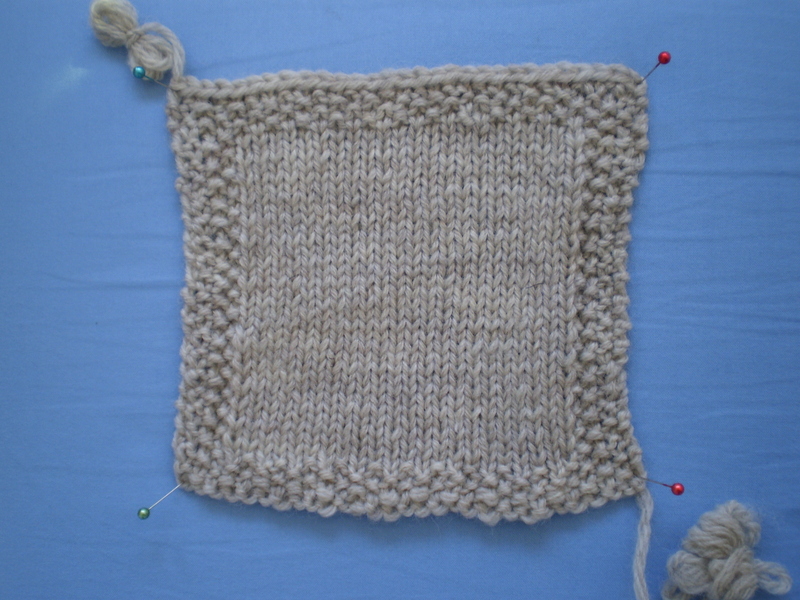 The working yarn should be coming off the left side of your knitting. 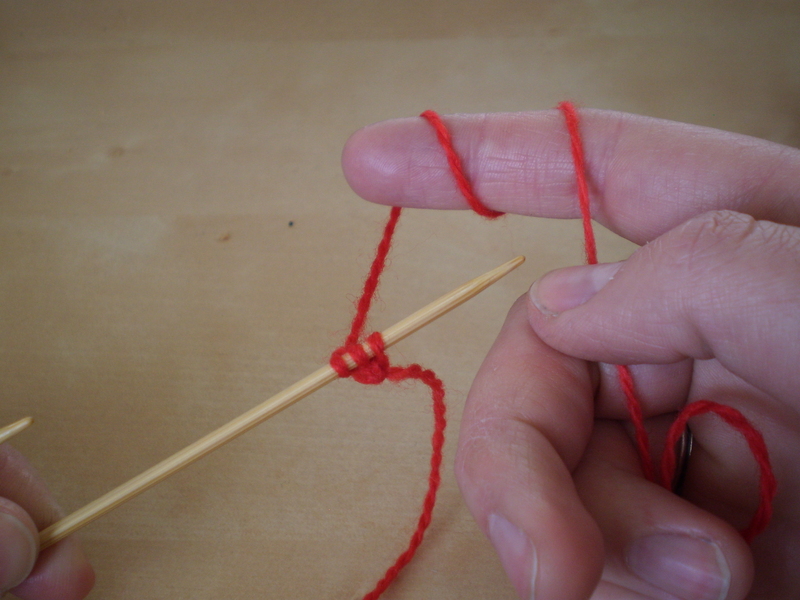 Take the needle with your stitches on it in your left hand, and your empty needle in your right hand. Knit across. Do the same thing again. 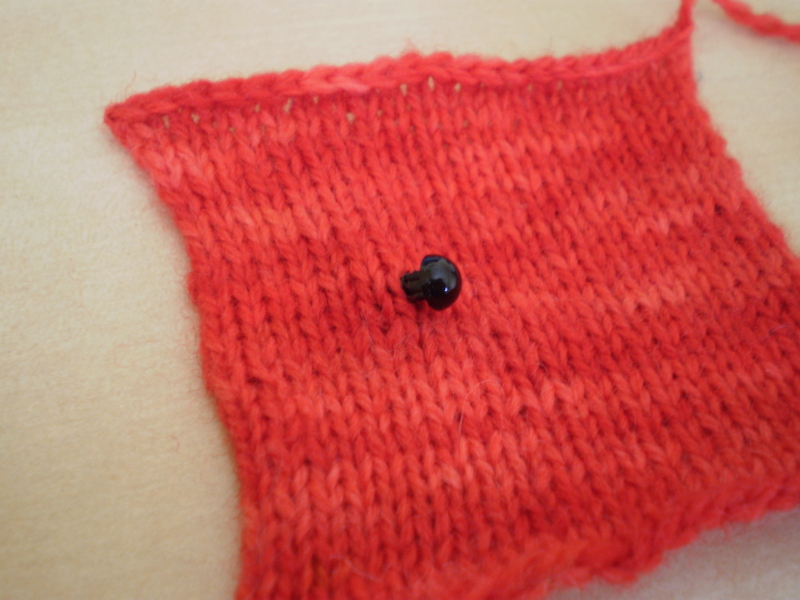 Slide you knitting to the right end of the needle, and knit all stitches. Repeat ad nauseum, making sure not to flip your knitting between rows. 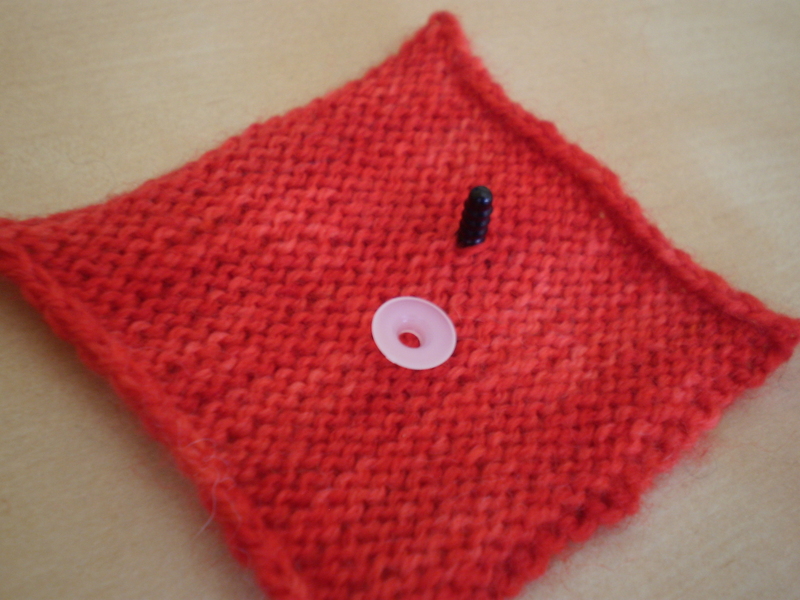 See how your knitting is turning into a little tube? That’s an I-cord! 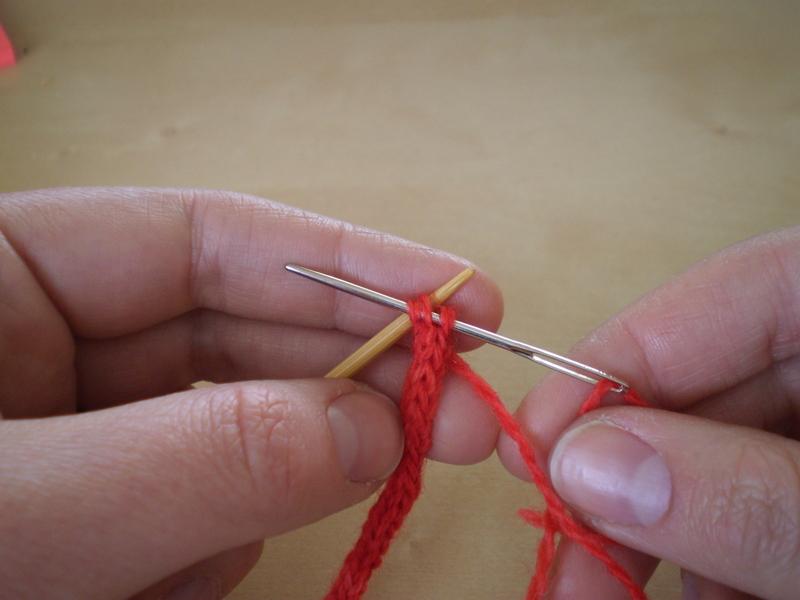 Give the I-cord a little tug after every couple rows to settle the stitches into a nice even cord. Keep going until your I-cord is as long as you want it to be, and then finish by either binding off, or sewing your tail through your active loops (like you do at the top of a hat). Now, don’t you feel ingenious? 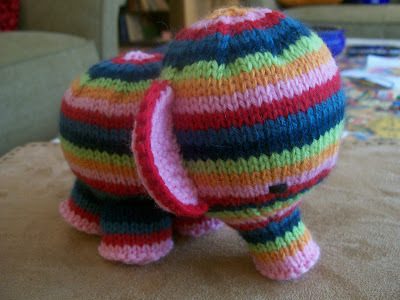 This entry was posted in Techniques and tagged dpns, how-to, I-cord on April 10, 2013 by onemilljellybeans.